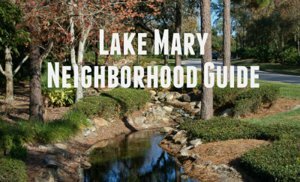 The city of Lake Mary is an upscale suburb and is located approximately 18 miles north of Orlando with a population of about 15,000. The city is known for its well planned residential communities, manicured neighborhoods, clean business parks, and excellent Seminole County schools. Lake Mary is still one of the fastest growing areas in Central Florida and continues to attract high-tech companies to its lush office parks on either side of Interstate 4. 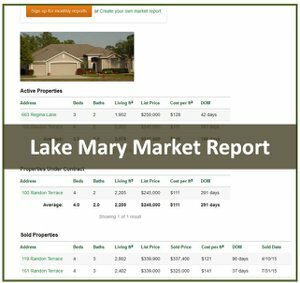 Click here or on the blue button to view all Lake Mary homes for sale. 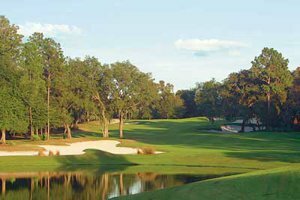 Lake Mary is home to Heathrow, Alaqua Lakes, Magnolia Plantation, and Timacuan, all large-scale golf communities. In 2007 and again in 2009, CNN/Money Magazine articles ranked Lake Mary as the top city in Florida in which to live with a population of 50,000 or less. The 2007 edition also ranked Lake Mary as the 4th best such city in the U.S. in which to live. In 2014, Family Circle Magazine listed Lake Mary in its annual America's Ten Best Towns For Families list. 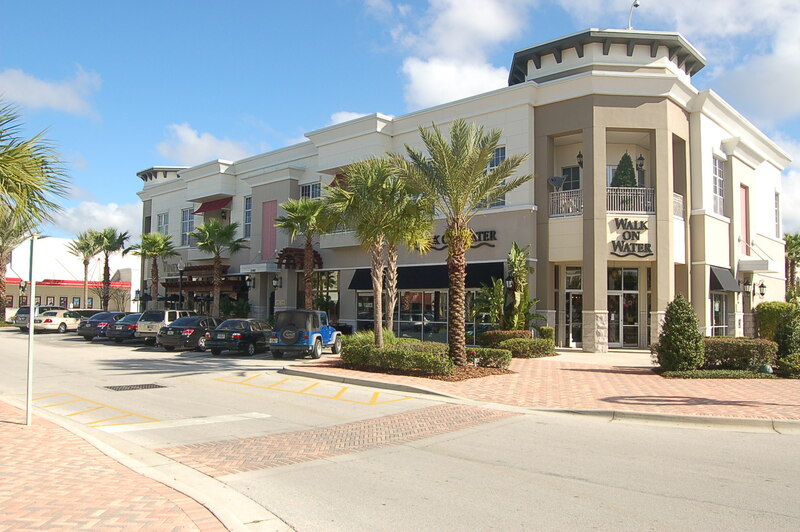 Great schools, shopping, dining, abundant recreational opportunities, and overall lifestyle have prompted many companies to not only target Lake Mary for expansion and relocation, but to move their national headquarters here. Lake Mary is the national headquarters for the American Automobile Association, and Convergys, Dixon Ticonderoga, Symantec, Verizon, Digital Risk, Florida Blue, ATT, Fiserve, Duke Energy, and Deloitte Consulting LLP all have large facilities in the area. Marriott and Westin both operate full service hotels in Lake Mary to serve visitors and business travelers. In addition, there are several business class hotels located inside the Lake Mary office parks such as Marriott Courtyard, Hampton Inn, Hyatt Place, Hilton Garden Inn, Homewood Suites, Candlewood Suites, LaQuinta, Extended Stay America, and Residence Inn. Is There Really A Lake Mary? Yes, there really is a Lake Mary in Lake Mary. Actually, there are two of them. Big Lake Mary and Little Lake Mary used to be connected by canal, but now they are connected by underground pipe. Big Lake Mary starts near the southeast corner of the intersection of Lake Mary Blvd. and Country Club Road. The 103 acre lake is long and narrow and continues almost one mile to the east. 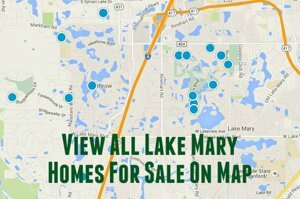 Some of the area's nicest homes are located on Big Lake Mary, off Evansdale Road and Lake Mary Blvd. Both lakes are spring fed with sand bottoms and very good water quality and clarity. They are widely used for watersports, but there is no public access. Little Lake Mary is 52 acres and is located between Evansdale Road and Broadmoor. 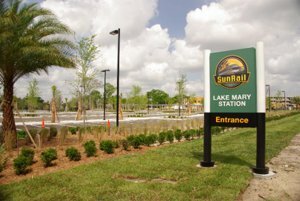 The Lake Mary SunRail Station is located at 2200 W. Lake Mary Blvd., just east of Country Club Road. SunRail is a commuter train system that will eventually connect as far north as Deland and as far south as Poinciana. 200 luxury apartments called The Station House were recently built next to the station and the city of Lake Mary will build a $1.8 million parking garage. In addition, office and retail space will be built around the train station, and the city is receiving interest nationwide from companies interested in moving their corporate headquarters to downtown Lake Mary. 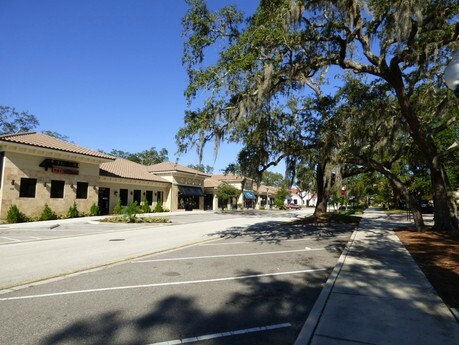 What downtown Lake Mary lacks in size, it makes up for in activity. In the area around city hall, there are now over 25 shops and restaurants, including Fourth Street Bar and Grill, Flipper's Pizzeria, Krazy Greek Kitchen, Sophie and Trey, and 4th and Ocean. Every Saturday, Downtown Lake Mary's Central Park hosts a farmer's market from 9 a.m. to 1:30 p.m. The first Wednesday of every month, downtown hosts WineArt Wednesdays with wine tasting, art vendors, food trucks, and live music. 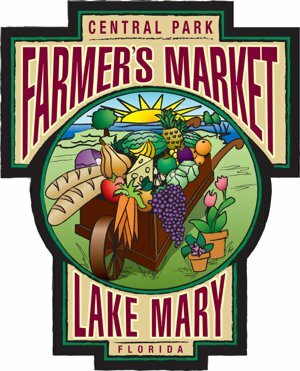 Every Saturday, from 9:00 a.m. to 1:30 p.m., the city of Lake Mary hosts a farmer's market at Central Park at the Lake Mary City Hall. In addition to a produce vendor that also sells farm fresh eggs, organic butter, and meat, there are vendors selling pet food, plants, local honey, assorted nuts, jerky, wood crafts, baked goods, and handmade jewelry. City Hall is located at the northwest corner of Country Club Rd. and Lake Mary Blvd. in Lake Mary. 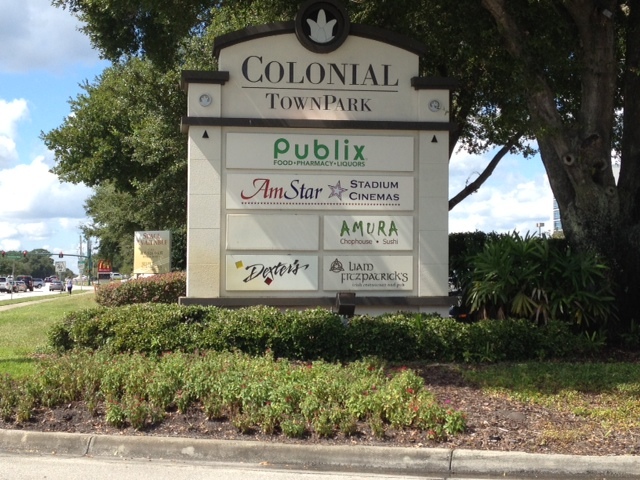 Colonial TownPark in Lake Mary is a mixed-use center of 200,000 square feet of retail, 870,000 square feet of Class A office space, 80 residences, and a 131 room Hampton Inn hotel. The retail space is built in a traditional downtown style with diagonal parking. It features a Publix Grocery store and serves as a dining and entertainment destination with it's numerous restaurants and an Amstar 12 screen, stadium seating theatre. Colonial TownPark is located just west of I-4 on County Road 46A, and is just a minute or so from the back entrance to Heathrow. Current tenants include Ruth's Chris Steak House, Liam Fitzpatrick's Irish Pub, Dexter's, Amura, Grafitti Junktion, Crisper's, World of Beer, Joseph A. Banks Clothiers, Walk On Water, Corona Cigar, Duffy's Sports Grill, and Vineyard Wine. 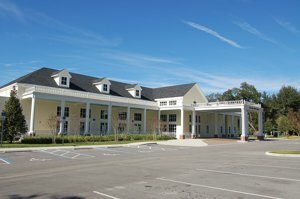 The Lake Mary Events Center is a state of the art 19,000 square foot facility overlooking Crystal Lake located on N. Country Club Road in Lake Mary. The facility includes a grand ballroom with a cherry dance floor, meeting rooms, rotunda, events lawn, and conference room. It can be rented out for weddings, receptions, parties, corporate celebration, and business meetings. With the grand ballroom seating 300 theater style, along with meeting rooms for breakout sections, the events center has become a popular destination for corporate events. 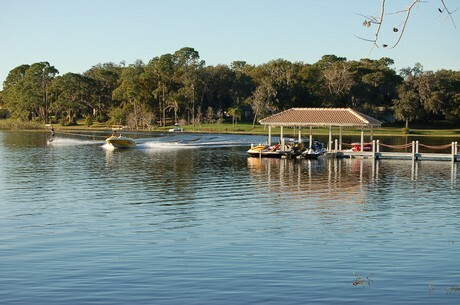 Lake Mary and its surrounding areas have no shortage of recreational opportunities. 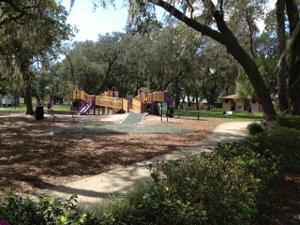 The city operates 19 different parks and facilities, including the showcase Lake Mary Sports Complex, Lake Mary Tennis Center, Central Park at City Hall, and Heritage Park. Two major cycling and walking trails, the Cross-Seminole Trail and the Seminole-Wekiva Trail, both make their way through Lake Mary and connect to 40 miles of trails throughout Seminole County. Greenwood Lakes Park, a Seminole County facility, is located just outside the city limits of Lake Mary on Greenwood Blvd. No problem getting a tee time here either, as there are six golf courses either in Lake Mary or within a five minute drive. These include Heathrow Country Club, Timacuan Golf and Country Club, Magnolia Plantation Golf Club, Mayfair Country Club, Alaqua Country Club, and The Legacy Club at Alaqua Lakes.